Is it more than just a simple fencing dispute? It is not uncommon for, what would appear to be, a simple fencing dispute to subsequently turn into boundary dispute. In many cases, a Fencing Notice is properly served pursuant to section 13 of the Fences Act 1968; in some cases, after obtaining a surveyor’s plan. Disputes commonly arise where it is evident that the existing fence line and the title boundary do not correspond, and there is a lack of understanding of the legal concept of adverse possession either by the possessor or the person dispossessed of part of their land, or both. Statements such as ‘I am the legal owner, how can they have a claim over land that is mine’ and ‘do I have to agree to a new fence if their land is already within my fence’ have been uttered on many occasions. In some cases, the dispossessed owner(s) has recently purchased the property and fails to understand how they could have ‘inherited’ such as problem. In instances where boundary disputes arise, it is more than likely that a lack of understanding of facts and the law will result in failed negotiations and to proceedings being commenced, especially where one party (or both) fails to seek legal advice. Many cases involving boundary disputes are resolved without having to initiate proceedings. However, there are some that do make it into the Magistrates’ Court. For those that do, the Magistrates’ Court has the power pursuant to section 30E Fences Act 1968 to hear and determine matters relating to adverse possession claims that arise from fencing disputes. (b) the land that the person is claiming title by possession to is land on which fencing works and any subsidiary works that are the subject of that complaint are to be carried out. (2) The Magistrates’ Court may make an order in relation to who is entitled to title by possession of that part of the adjoining lands on which the fencing works and any subsidiary works are to be carried out. The term ‘adverse possession’ is well known; however, the legal concept itself is not. The effect of adverse possession is that a true owner can permanently lose the title to their land, by reason of some other person having been in occupation of the land – continuously, intentionally, factually and without permission. In accordance with the provisions of section 8 Limitations of Actions Act 1958, this occupation by the adverse possessor (and their predecessor in title) must be in excess of 15 years. 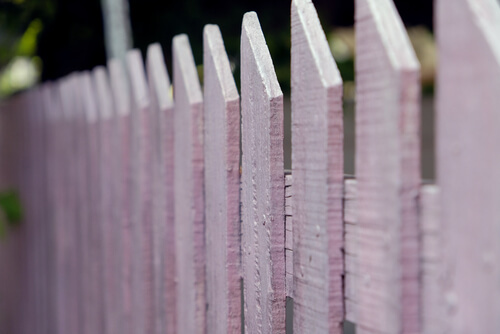 The Fences Act does not alter the law on adverse possession. Therefore, in order to make a claim, one must meet the aforementioned requirements. However, unlike an application under section 60 Transfer of Land Act 1958, the adverse possessor need not show that there has been an express assignment of their possessory rights if they have not been registered as owner for the entirety of the 15 years, but the aggregate period of possession between them and their predecessor in title is 15 or more years (Shelmerdine and Another v Ringen Pty Ltd and Another  1 VR 315). The process of filing a complaint for an order pursuant to section 30E works in much the same way as filing a complaint for an order pursuant to section 30C Fences Act. In this regard, if you are the issuer of the Fencing Notice, you must wait 30 days after the service of the Notice prior to issuing proceedings. Similarly, if one has been served with a Fencing Notice, they may bring proceedings under section 30E, if no agreement has been reached within 30 days of receipt of the Notice.